Yes, you know O.J. Simpson. How could you not? He was one of the world’s most recognizable faces, even before last year’s Oscar-winning documentary “O.J. : Made in America” and the Emmy-winning FX drama “The People v. O.J. 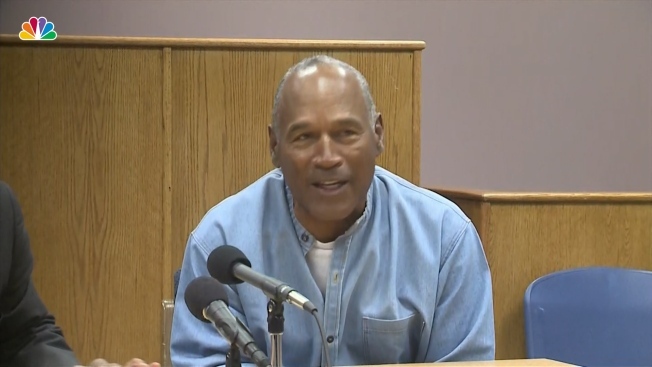 Simpson” brought his story — and the killings of Nicole Brown Simpson and Ron Goldman — back into the heart of American culture. Simpson was granted parole Thursday on charges stemming from the 2008 armed robbery involving two sports memorabilia dealers in a Las Vegas hotel room. It's a fair question to ask why, 23 years later, he continues to be a point of obsession for so many, considering the killings for which he was controversially acquitted occurred decades before there was an iPhone, Twitter or even the concept of social media. The fallen football star’s case was viewed largely through the prism of race in 1994, but how you perceive Simpson today may differ greatly simply depending on when you were born. O.J. Simpson was remorseful at his parole hearing on July 20, 2017, saying he has never made excuses in the nine years he has been in prison. He said he would not have been arrested if he did not bring armed security guards. If you were born in the age of Twitter, you know about 70-year-old Simpson as he stands incarcerated today. You're familiar with the refrain, "If it doesn't fit you must acquit," because you've seen Courtney B. Vance give an Emmy-winning performance as Johnnie Cochran on the FX broadcast and you've seen the grainy Bronco chase video on YouTube. But if you're older, perhaps you saw that Bronco chase live as networks broke into the middle of the NBA playoffs with live coverage. Going back further, perhaps you're more familiar with "Naked Gun" O.J. Simpson. 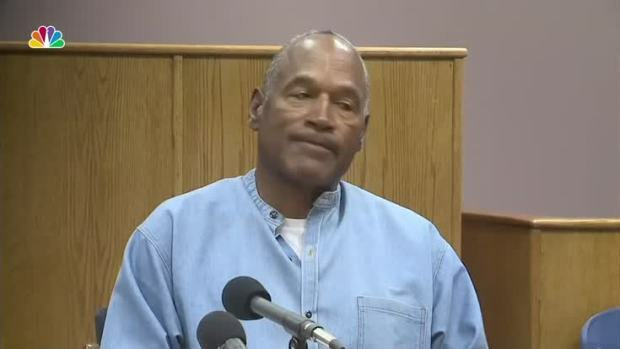 A little older and you may remember pitchman O.J. running through the airports in iconic Hertz commercials, briefcase in hand, trying to catch that plane. Older still? Maybe you recall the star Buffalo Bills running back or even watched him during his Heisman-winning days at the University of Southern California. As Simpson was finally granted parole it may be difficult to imagine the man who once had Madison Avenue in the palm of his hand. It's difficult to perceive the fledgling actor with limited range who tackled small roles in films like "The Towering Inferno" and "Capricorn One," before finding his comedic niche in farce films like the "Naked Gun" series. Simpson's acting career largely sprang from a Hall of Fame NFL career. Joining the Buffalo Bills in 1969 after winning the Heisman as the nation's best collegiate player the year before, Simpson became the first player in the NFL to rush for 2,000 yards in 1973 and, 44 years later, he remains one of only four players to ever do so. He is still just outside the top 20 in career NFL rushing yards and was first ballot Hall of Famer. If America continues to have an unhealthy obsession with "The Juice," while other infamous figures like Charles Manson, John Wayne Gacy and Ted Bundy have faded with time, perhaps it's because there were so many different incarnations of Simpson before the crimes for which he became infamous. Whether it was actor O.J. or sports star O.J., or celebrity O.J., Simpson had woven himself into the fabric of America for decades before Nicole Brown Simpson and Ron Goldman were murdered. Perhaps that's why we simply can't get enough of his story.